When it comes to neighborhood yard sales, I’ve always wondered if it’s better to take advantage of all the free advertising they do for you… or, if you should take the time to write your own ads, hang your own signs, and pick your own date. 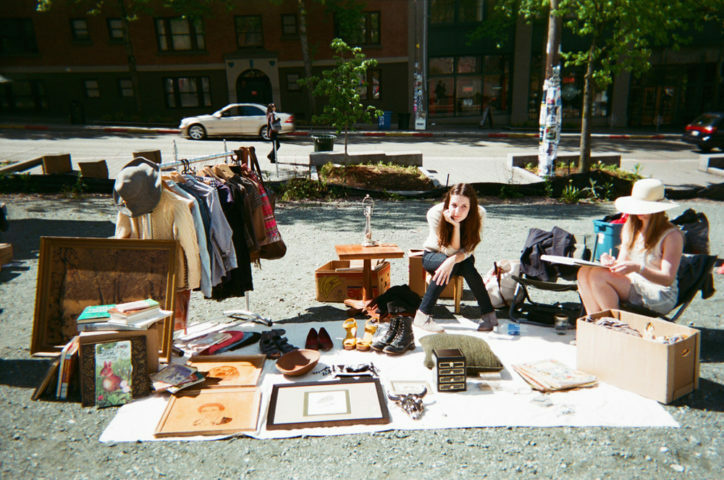 I’ve participated in both — private garage sales and multi-family yard sales — but I seem to have had more success when my personal garage sale was tied in with a neighborhood-wide yard sale event. I’ve done it both ways, and I think that community garage sales are better than simply posting an ad in the paper (or online) and hoping people will come to your private yard sale. On the plus side, with community garage sales you’re pretty much guaranteed a slew of traffic throughout most of the day! The downside is that you’ve got so much close competition — especially if your house isn’t one of the first in the subdivision or on the “main” route through the neighborhood. And if your house is at the end of a cul-de-sac, your traffic won’t be nearly as good as homes on the corner and up closer to the main road. 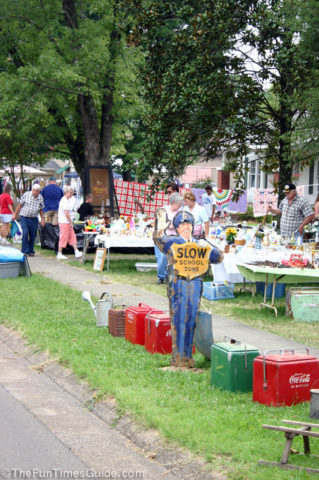 So, if that’s you, then you’ll definitely need to go the extra mile to call attention to your yard sale. If your subdivision isn’t planning a community yard sale anytime soon, then you may want to consider getting together with a couple families yourself — because multi-family garage sales are often more successful than single-family yard sales. If you don’t want to do that (or if no one’s interested), then simply ask your neighbors — and your friends and relatives — if they have anything they wish to sell at your yard sale. What they have might not be enough to warrant having their own yard sale, but it may boost yours a bit. Sometimes neighbors are eager to get rid of a few things — the easy way — in which case you might get to keep any profits from the sale of their items. Other times, they may have 1 or 2 high quality items that they’d sell if the price was right. These types of items would likely draw more people to your yard sale and help your neighbor, too — if the item sells! Larger, higher-quality items are attention-getters — especially sofas, appliances, and other pieces of furniture. Used lawn care items are a big draw, too. Start early planning, pricing, and organizing items for your yard sale, and start advertising 1-2 weeks prior to the sale date. If you don’t, your multi-family sale will be a flop. Decide where you’re going to have the sale based on (a) location — ideally, a house that’s located at a busy intersection, and (b) who has the most indoor/garage space — for ease of organizing all items before the sale (see next point). Have everyone drop off their items at the yard sale location at least 1 week prior to the sale date — so that everything can be organized into categories. The idea is not to sell Family #1’s things over here and Family #2’s things over there, but rather to combine everything together — by category — in order to make the best impression with potential buyers. Figure out how you’re going to keep track of each family’s sales (colored stickers or initialed stickers). I prefer to use different colored painter’s tape as price stickers. On the day of the sale, the price stickers get affixed to a blank page in a spiral-bound notebook as each item is sold — all blue stickers on one page, green stickers on another, etc. You could just as easily ask each family to put their initials on each pricetag, then use a notebook or printed logs to keep track of the initials and amount each item sold for. Each family must price their own items before the day of the sale — ideally at least 1 week prior to the sale. Other things are likely to come up in that last week that will take some time and attention during that time. Also, with multi-family sales you’re usually dealing with a lot of variables on the actual day of the sale — the last thing you need is the headache associated with on-the-spot pricing! 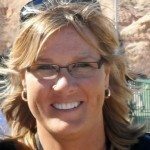 Make a list of everyone’s assigned roles (before, during, and after the sale) and have all of the details ironed out one week prior to the actual yard sale. Take the time now to think through possible scenarios, so as a group you can come up with a plan for how to handle those things. Trust me, you don’t want the day of the sale to be the day those things get worked out. If so, your sales will be much lower. Gather all tables, boxes, crates, blankets, sheets, tarps, etc. that will be used to display items at the sale? Organize all individual sale items into meaningful categories/groups ahead of time (indoors)? Arrange all items outdoors on yard sale day — on tarps, blankets, boxes, tables, etc.? Make signs before the sale, post signs the day of the sale, and take down signs after the sale? Post yard sale ads online? Be responsible for the money from start to finish — from getting petty cash before the sale to being the cashier on the day of the sale and splitting up the profits after the sale? Help the cashier by keeping track of each family’s sales and put customers’ items into bags? Take leftover items to charity after the sale? On the day of the yard sale, it’s important to assign one single person the role of “cashier”. You don’t want the money passing through lots of hands. Not because you don’t trust anyone, but simply because it’s easier if one person is in charge of the money bag at all times and is quick when it comes to making change. Have a plan for how the final hour(s) of the sale will go. Despite what you put on the signs and in the ads, the time you decide to close down is completely up to you — based on (a) how much you’ve sold (if all the good stuff is gone, there’s no need to stay open much longer for all the little stuff) and (b) how many people keep stopping by your sale (if no one’s actually perusing items at your sale, then it appears that everything’s been picked over and there’s little reason to stop). Agree ahead of time how all of the yard sale leftovers will be dealt with. Ideally, they’ll all be taken immediately to charity and donated. If someone says they want their items back (rather than donating them to charity), they must be present during the final hour of the yard sale to collect their things. Otherwise, the yard sale host will bear the burden of having to separate and store each family’s items until they come to pick them up — and that’s just not fair.